1. Muslims in Myanmar (Burma) are mix-blooded people, not pure race as Burmese Buddhists. 2. Muslims are migrants only and not the original people of the land. 3. Muslims are scattered all over the country without owning a separate state as other races of Burma. 4. No race can be formed base on the religion. 5. By calling Kala, meaning Indian, the authorities equate all the Muslims with the recent migrants of Indians under the British or even trying to accuse as fresh illegal immigrant. 6. The hidden agenda is their deep-seated fear of propagation of Islam. They are scared of future Muslim dominance although it is not possible. Forefathers of Myanmar Muslims had landed in Myanmar (Burma’s Rakhine, Ayeyarwady delta and Tanintharyi coast) as early as ninth century, roughly about 200 years before King Anawrahta of Pagan established the first Myanmar (Burmese) empire in 1055 AD. 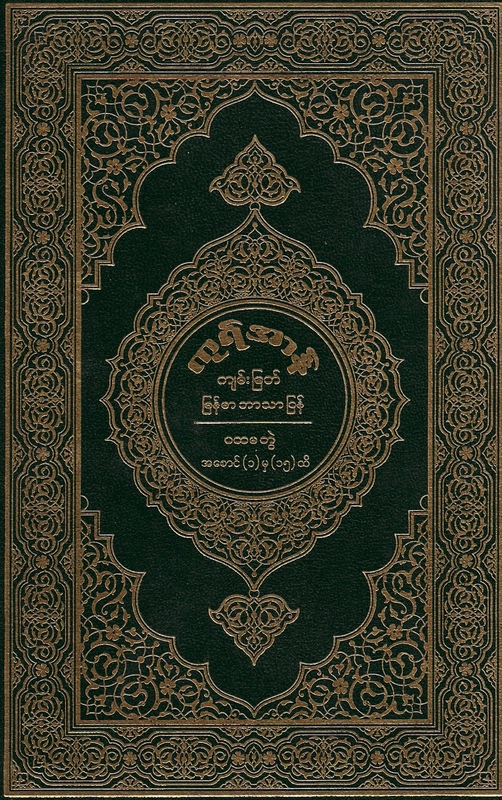 King Anawrahta later only concurred the King Manuha and Buddhist Mons of Thaton. He then invited Shin Arahan to propagate Buddhist teaching among people of Pagan. So the Buddhist religion reached Burma much later than the arrival of Islam. But we had to admit that the Hindus and Buddhists arrived the lower Burma (not owned by the Burmese or Myanmar yet) earlier than the Islam. Because of that uniting force of Buddhist Religion, the original three Ethnic Minority Groups of Pagan: Pyu, Kan Yan and Thet assimilated homogeneously into present Myanmars. So, we hereby want to challenge present Myanmar Generals, especially BSPP/SLORC/SPDC and cohorts Burmese Chauvinists to deny that the Buddhist Religion forms the backbone of the formation of Burmans or Myanmars. Even the Chinese, Indian Hindus, Indian Muslims, Japanese and some Anglo Burmans if they convert (or pretend to convert to) Buddhism they would be homogeneously assimilated into Burmese Buddhists. Burmese Chinese like General Ne Win, General Khin Nyunt, President San Yu etc are accepted as “PURE BURMESE” and given hightest positions. When SHIA MUSLIM U Sein Win and Sunni Dr Maung Di renounced Islam, they were accepted into the mainstream administration, Sein Win was even given PM post. Mg Di deputy Ed. Minister. There are many mixed -blooded people in Myanmar disguised as PURE Bamas. During the SPDC’s present registration on issuing National Identity Cards, if any one said he or she is Buddhist no more questions, easily accepted as pure Bama. But if someone replys one’s religion as Islam, even if he or she is recently converted into Islam, they refused to accept as a pure race. It is not a simple, minor issue but the very important thing of denying a citizen’s right to posess a National Identity Card. Without it could not travel inside or outside MYANMAR/Burma. We should analyze which groups of people are deserved to be called or who have the sole right to be called a separate Race, separate distinct Ethnic Minority Group or a real Citizen. 1. Are only so called “pure race” should be called a race and not so pure or mixed blooded people could not stay together to form a RACE? 2. Or are those so called “pure blooded” races are really pure enough? 3. Are those “Original Owners of the Land” really true or just mere early Migrants, reserving and monopolizing the place? 4. Are migrants are always regarded as migrants forever without entitlement to any Human Rights or Citizens’ Rights, even after few generations? 5. Well-established migrants, after already accepted as a citizen are still foreigners? 6. Are descendents of migrants and local mixed marriages still alien after few generations? 7. Could a conqueror of the war just annexes the new territory and regarded the locals staying in that land as Foreigners and started the ethnic cleansing? 8. Could that conqueror brought back the prisoners of war back, for various reasons e.g. slavery, to serve in various positions, civil or army, and allowed to settle in the heart of the country as permanent aliens for few generations? 9. Could the kings, after accepting the helping friendly allied foreign forces, allow them to settle in his country, gave land, property and even brides as rewards after the victory, but a few generations later kicked them out as lousy migrants? 10. After staying few dozens of years or few centuries under a foreign powers as a colony, once got the independence, could the new local government start to kick out the migrants entered during the period of colony? Is it legal to just want the land only and refuse to accept the people living on that land? Even if so, they should negotiate with their colonial power before accepting the independence. The colonial masters will surely divide the land or repartiatrate them back and that would delay the granting of independence. 11. Could they erase the real historical fact of gaining their independence after all was obtained with the help of so-called migrants? 12. Should they neglect the promises of fair and equal treatment or social contract or agreement that they had given to those Migrants and the colonial masters before gaining the independence? 13. Is a religion could never form the backbone of a race? 14. Is descendents of migrants could never form a separate or distinct race? 15. Is a religion could never form the backbone of an ethnic minority group? 16. Is descendents of migrants could never form an ethnic minority group? 7. To be regarded as a race, ethnic minority group or a citizen, is there any rule to be the original settler or owner of a land? Country? Or a State? 8.Have the Migrants no chance to be accepted as citizens? Although all of the above questions lead to undeniable truth, we like to highlight the above axioms with the following facts. They are taken from the world’s historical theatre and our Myanmar (Burmese) geography and local history. A group of people with a certain sense of itself and cohesiveness is called a race. There is usually a commonality or shared values such as: social, culture, attitudes and ideals. The most important bond and determining all these is a religion. There is usually a common language, literature and a territory. It may be a ‘pure’ race (homogeneous) e.g. Arian, Mongoloid or African. Or a ‘mixed’ race (heterogeneous) that is a mixture of few tribes, clans or minority groups. They mixed, stayed and struggled together with the sense of unity. Let us look at how Islam deals with this sensitive racial issue as Arabs were and are so proud of their race. Islam not only recognises absolute equality between men irrespective of any distinction of colour, race or nationality, but also makes it an important and significant principle, a reality. All Human are descendants of one father and one mother. The division of the human race is neither meant for one nation to take pride in its superiority over others nor is it meant for one nation to treat another with contempt or disgrace, or regard them as a mean and degrade other races and usurp their rights. South Africa Zulu is the combination of many tribes and clans by a powerful worrier in nineteenth century. So it is obvious that they are not homogeneous. African Americans & Asian Americans are regarded as recognized Ethnic Minority Groups but there are many subgroups under them. Among Asian Americans, some of the bigger groups such as Indian Americans and Chinese Americans could be subdivided according to the clan, dialect, religion and their home state or district. So it is very obvious that non-homogeneous or more correctly, heterogeneous factor could not rule out the legality of a race. Owning a territory, land, state or country is not very important to become a race. Israelis and Palestinians have no homeland at all earlier in the long world history. Actually they were not the original owners of that sacred land. Just because they were not the not the original owner of those land, we could not deny the fact that, the Israelis and Palestinians are distinct and famous races. They were even mentioned in three holy books and their racial conflict was and is the world’s most important and dangerous problems. Most of the American Ethnic Groups also have no separate states. Or some Ethnic Groups’ historical territories may be occupied by different nations or countries at present. We like to give some examples. The original land of Mons of Myanmar, Thailand and Cambodia, is now divided and occupied by three separate countries. Like some of the Myanmar Ethnic Groups, the Malays, Indonesians and Polynesians had descended from the Yunan But few historians are thinking about the possibility of reverse migration from Australia side. But some Polynesians have got some mixture of Africa. But even recently some genetic experts found out that there is some evidence that the Chinese originally descended and migrated from Africa. Actually the “Bush People” featured in ‘ God is crazy 2′ are a little bit yellow and their features are some what like Myanmar or Mongoloid. 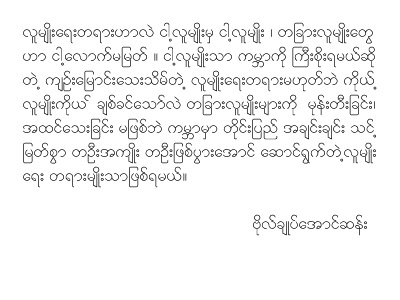 (One of the Myanmar Doctor, Anaesthetic in Namabia wrote in the Myanmar Magazine in 1998). Karens of Myanmar and Thailand. Shans, Siam and Southern Chinese (Nankhan) divided into the races of Myanmar, Thailand, Laos and some Chinese ethnic minorities. Nagas of Myanmar and India are exactly same races in different countries. And many Ethnic Minority Groups commonly found in China and India are also found and recognised as prided or precious nationals of Myanmar especially in Kachin and Shan States. So the relation of the citizenship for the same race staying in different country is totally different. Relation between the race and history of land ownership is also irrelevant. And although the population of the Myanmar Muslims increased during the British rule of Burma because of new waves of Indian Muslim Immigration. This sharply reduced since 1941 because of Indo-Burman Immigration agreement, and totally stopped after Burma (Myanmar) gained independence in Jan.1948. So Myanmar Muslims are at least staying in Myanmar from 50 years and some of them are staying for more than 1000 years already. Myanmar Muslims are descendants of Arabs, Persians, Turks, Moores, Indian-Muslims, Pakistanis, Pathans, Bengalis, Chinese Muslims and Malays intermarried with local Burmese and many ethnic Myanmar groups such as: Rakhine, Shan, Karen, Mon etc. Muslims arrived Burma as travellers, adventurers, pioneers, sailors, Military Personals (voluntary and mercenary), and some of them as prisoners of wars. Some take refuge (from wars, Monsoon storms and weather, shipwreck and some for other various unforeseen circumstances). And some of them are victims of forced slavery. Some of them are professionals and skilled personals such as advisors to the kings and at various ranks of administration. Some are port-authorities and mayors and traditional medicine men. Some of them are good at various vocational skills, culture arts etc. Mixed marriages, intermarriages and assimilation process of throwing away of almost all their foreign languages, foreign dresses and foreign culture slowly shaped them in to Ethnic Myanmar Muslim group of today. But they had drawn a line in the ongoing process of assimilation. That line of limit is their religion, Islam. As practising Muslims they could not go beyond the limit of tolerance of Islamic principles. So Myanmar Muslims threw away Urdu, Bengali, Chinese, Hindi and all other foreign languages. Even Arabic is learned just to read Holy Koran and for prayers. Myanmar Muslims speaks Myanmar as their mother tongue, wear Myanmar dress and even have an official Myanmar name as well as Islamic Arabic name. Because they could not compromise their faith in Islam in matters such as: only eating halal foods and drinks, marriage, divorce, inheritance, and other customs which heavily depend on Islam e.g. circumcision, funeral and burial rituals etc. So Myanmar Muslims could not assimilate homogeneously as Chinese, Hindus and others, except for those who convert or renounced Islam. Complete Assimilation of a minority group always need a compromise of their tradition, their culture and some of their rights. In Myanmar (Burma), General Ne Win ordered not to allow the registration of the Muslims as Burmese Muslims (Myanmar Muslims) and present Military Junta not only simply follow his tradition and laws but tightening their grips on Burmese Muslims. Although the whole world accepts that the persons who worships Islam are called Muslims, Ne Win and present Junta refused registration the citizens of Burma/Myanmar who professed Islam as Burmese Muslims or Myanmar Muslims. They refused to allow the Muslims of Burma to be registered as Myanmar Muslims (Burmese Muslims). They are forced to register as Indian hybrid, Pakistan hybrid, and Bengali hybrid, worshipping Islam. So in order to avoid been labelled or registered or discriminated as a foreigner or a lower graded citizens, a few of the Myanmar Muslims even enlisted or registered themselves as Burmese-Buddhists. Actually the religion is the most important factor in the formation of the Ethnic Minority Groups in the whole world. This is really the most explosive issue in most of the Ethnic- conflicts, leading to wars around the world throughout the history. In former Yugoslavia: Serbs, Croats Kosovo and Bosnia differences are mainly based on religion. In Lebanon, Christian and Arabs are the two opposing Ethnic groups. Even among main religions, sometimes different sects fought each other e.g. Sunni Muslims and Shia’ Muslims. Roman Catholics and Protestants of North Ireland are fighting based on religious differences in their Ethic groups but claimed to be based on political differences. In Sri Lanka, Buddhist and Sinhalese are fighting. In Indonesia the people from Bali are different from other parts of Indonesia because of the religion only. They remained Buddhist without converting to Islam. Because of the religion, they could not assimilate totally with Indonesian Muslims. They maintained some of their customs and rituals. The main difference of Indian and Pakistan is religion. Internal Racial Riots and continuos internal conflicts in these countries are based on religion. Cyprus, Germany, Italy, Spain UK and USA also have differences and voting-trends based on religious lines. (No Catholic could be elected President of USA for nearly 200 years until J.F.Kennedy became President in 1960). Karens in Myanmar are also subdivided by religion. Christian Karens are more numerous and different from Buddhist Karens and Muslim Karens. They differ not only in religion and customs but their political alienation or alignment is totally different. Ruling Myanmar Governments always look the Christian Karens with a suspect, because the Christians are more close and loyal to ex-colonial masters. Just after the independence of Myanmar, mostly Christian Karens rebelled against the central government. And the Myanmar army lost most of the country. Christian Karens even arrested a group of top ranked military officers including the Deputy Commander-in- Chief of the Myanmar army. Buddhist Karens betrayed and rescued them back. They were honoured with the highest awards in Myanmar Military’s history. Presently also, we could see the same kind of alignment. Buddhist Karens deserted the fellow Christian Karen rebels. Buddhist Karens joined their hands with Myanmar Army and raided the Christian-Karens across the Myanmar-Thai border. Apart from them, there are also Muslim Karens in Myanmar. Some of them even formed the Kawthoole Muslim Liberation Force (KMLF) and formed alliance with the Christian Karen rebels. Buddhist-Rakhines are also different from Muslim Rakhines or Rohingyas. Some of them are even active as a rebel group called, the Rohingya Patriotic Front. Panthays or Chinese Myanmar Muslims are also totally different from other Chinese or other Myanmar Chinese. Buddhist Shan and Muslim Shans are also quite different. So it is obvious that the new Ethnic Minority Groups will appear depending upon their religion. The religions will always become the main and very strong bonds in the formation of the various Ethnic Minority Groups in Burma / Myanmar. And the religion is the main obstacle obstructing the complete assimilation of the minority groups. In other words, religion sometimes prevents the disappearing of the Ethnic-minority groups. And he said that he had asked a young student who had come to the weekend talks about this: “Why are they are talking about religion?” The student replied, “Well that’s politics. “Our people understand what we are talking about. Some people might think it is either idealistic or naive to talk about ‘metta’ in terms of politics, but to me it makes a lot of practical good sense. AC: It’s a matter of debate, but politics and religion are usually segregated issues. In Burma today, the large portion of monks and nuns see spiritual freedom and sociopolitical freedom as separate areas. But in truth, dhamma (Religion) and politics are rooted in the same issue – freedom. D A S S K: Indeed, but this is not unique to Burma. Everywhere you’ll find this drive to separate the secular from the spiritual. In other Buddhist countries you’ll find the same thing – in Thailand, Sri Lanka, in Mahayana Buddhist countries, in Christian countries, almost everywhere in the world. I think some people find it embarrassing and impractical to think of the spiritual and political life as one. I do not see them as separate. In democracies there is always a drive to separate the spiritual from the secular, but it is not actually required to separate them. Whereas in many dictatorships, you’ll find that there is an official policy to keep politics and religion apart, in case I suppose, it is used to upset the status quo. 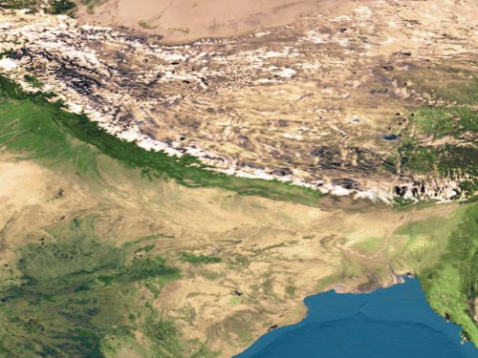 HISTORY AND GEOGRAPHY alone could not be the basic factors determining the legality of the official recognition of the Ethic Minority Groups of a country. Especially history is a very poor guide. There was almost always someone else there first. Israelis and Palestines almost always fight for their ‘native’ homeland. Actually neither of them were there first to occupy that land. Assam and Manipure of India; Phi Mor, Gor Lan and Kan Fan of China (the names stated here are Myanmar names); Ayuthya of Thailand; Penang of Malaysia, were once under Myanmar’s influence, even if it was for a brief period of time. And alternately, Arakan King Narameikhla founded the Mrohaung or Mrauk-Oo with the military help of Nadir Shah, the Muslim Sultan of Bengal. So his heirs, the successive Arakan kings were subject to Bengal from 1430 to 1531 AD. The Buddhists of Arakan the other major ethnic community, known as Magh or Rakhine are a mix-blooded race descended from Aryans of Maghada, India, Mongolians and Tibeto-Burmans. Hindus, Portuguese, Chinese, British and Japanese partly or completely colonise Myanmar in history for various lengths of periods. And in ancient times, Polynesians of Pacific Islanders were believed to be the first natives of the ancient Burma and were pushed down by ancient Indonesians and Malays. Actually all those Polynesians, Indonesians, Malays and most of the present Myanmar and Ethnic Minorities descended or migrated from China through Yunan. Hindu colonists, of Andhra Dynasty, from middle India (180 BC) established Hanthawaddy (actually Mon town Han Sawadi – similar to Thailand citizen Mons) and Syriam (Tanyin or Than Lyin) in Burma. Even before them, Orissa, Indian Buddhist colonists, arrived there earlier, settled and built pagodas since 500 BC. There was a well-known belief and people even used to say that Myanmar started from Tagaung, built by Abi Raja, a Sakian (Tha Ki Win min), Indian Royal family member, migrated from Kapilavatthu (India) after defeated by the king of Panchala (India), Vitatupa. He left the Middle Country (India) and established the Tagaung country, known at that time as Sangassarattha or Sangassanagara. On the death of Abi Raja, younger son Kan Raja Nge (younger King Kan) got the throne. Thirty-three kings reigned there. His son Muducitta became king of the Pyus (ancestors of modern Myanmar). He founded the city of Kyauppadaung. He conquered the Dhannavati (built by king Marayu). So what is the great deal, dear Buddhist Burmese brothers? The pure Indian or Kala brothers, Kan Rajas (Kan Yaza Gyi and Nge) were your ancestors. One started Myanmar kingdom and another the Rakhine Kingdom. Both of them were very fresh, recent and new immigrants. And your Myanmar (Burmese) and Rakhine Royal families descended from them. Are all of you are not ashamed to call the Muslims Kalas and labelled as migrants, hybrids, non citizens, when all of you are actually totally same as us. And all of us know that all the major religions never started in Burma. All of the religions are foreign to all of us. 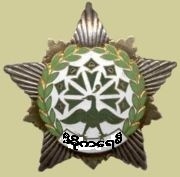 The Mainland Burmese are now able to colonize the Arakan State because, the British presented them, free of charge, as an extra gift during the granting of Independence to Burma. Actually the Burmese could colonize the Arakan State with their own strength for thirty-two years only from 1783 to 1815 AD. The Arakans (Buddhists and Muslims) agreed to join the Burmese Union because they had trusted all the promises given by General Aung San, during the Pang Long Treaty. If not, the British would not allow including the Arakan and other States to join the mainland Burma. But General Ne Win and successive Burmese Generals betrayed the ethnic minorities and ignored the promises given by General Aung San. The invading Chinese from the north destroyed Tagaung. The last king of Tagaung, Bhinnaka Raja run away and died later. His followers split in to three divisions. Another division moved down Ayeyarwady River and combined with Muducitta (second generation migrant, grand son of Indian Abi Raja) and other Sakiyan (Indian) princes, among the Pyus, Kanyans and Theks. The third group stayed in Mali with the chief queen Naga Hsein, a Sakiyan. (Indian) She was the queen of the Sakyiyan king Dhaja Raja migrated from India. On the way he founded Thintwe’. Then they founded the upper Bagan(Pagan). Dahnnavata captured Thambula, queen of Pyus. But Nanhkan (China) queen of Pyus had driven out the Kanyans, who lived in seven hill-tracks beginning Thantwe’. King Dwattabaung, direct descendent of Abi Raja (Indian Migrant) founded Thare Khit Taya in 443 BC. It was said to be self-destroyed in 94 AD. The history is half -mystical at that time. Mons or Talaings, an Ethnic Minority Group of Myanmar, migrated from the Talingana State, Madras coast of Southern India. They mixed with the new migrants of Mongol from China and driven out the above Andhra and Orissa colonists. Those Mon (Talaings) brought with them the culture, arts, literature, religion and all the skills of civilisation of present Myanmar. They founded the Thaton and Bago (Pegu) Kingdoms. That Mon mighty Kingdom extended from Lower Burma (Pathein or Bassein, Mawlamyine or Moulmein, Tanintharyi or Tenasserim, Tanyin or Syriam), Thailand and Cambodia. King Anawrahta of Bagan (Pagan) conquered that Mon Kingdom of King Manuha, named Suvannabumi (The Land of Golden Hues). Two princes named Thamala and Wimala (Myanmar version of Indian names-Thalma and Vimala.) established the town Bago in 573AD. Tabinshwehti (Taungoo Dynasty) conquered it in 1539 AD. The Arabs and European travellers of the ninth century saw many Myanmar-Muslim sailors and traders, in Pegu (Bago), also known as Ussa. Now there are only a few real Mons (much less than few hundred thousands) in Myanmar. But they were rewarded with the separate Mon State by the General Ne Win’s government because of his strong second man, General Tin Oo (actually he was even well known as ‘one and a half ‘ i.e. higher than number two position, as he controlled the Military Intelligence). He was a Mon. Later he was accused of corruption and removed from the number two post. This was allegedly after the Thailand’s official twenty-one gun salute and red carpet reception for his (General Tin Oo) son and daughter-in-law’s honeymoon trip there. Please allow me to interrupt with another interesting short story, which is not directly related with the main issue but because of a lot of coincidences. Another General Tin Oo (now NLD opposition leader) was the Chief Commander or Middle Division Military Command. He was very popular among the grass root people, Military rank and file and among the ruling elite. He had just rooted out the prolonged strong hold of Burma Communist Party’s head-quarters on the Bago Yoma (Pegu Mountain Ranges). When we met, I was surprised because he recognised me although I was almost an ordinary person and we had only met briefly once before that. He greeted me and suddenly joked with me. He told me the story of Kyansittha, during the war with the Mon (Talaings) went to pray the famous Shwe Maw Daw pagoda in Bago. When he came down the ‘Talaings’ had surrounded the pagoda, but Kyansittha manage to come down without any harm. He asked me the reason and answer to this ‘miracle’. The answer is very easy, just a Homophone only. Ta, means one in Burmese. Ta-Line means one line on the shoulder i.e. a rank and file in his own army. So, Kyansittha was not surrounded by the enemy Mons (Talaings) but was just surrounded by his own military men, ‘Ta-Lines’. That General Tin Oo was later promoted to the Chief Commander of Burma Armed Forces and became ‘the number two man’ in Burma. But that position was dangerous under the dictator Ne Win. Once the second man became popular and if there were signs of a threat, he used to removed and replaced with a weaker person so that his number one position would be safe. General Tin Oo was accused of corruption. He had alleged to accept five bottles of liquor, accepted the government controlled foreign currency to buy medicine for his child suffering from leukaemia. The Burmese Military Attaché in London allegedly gave that medicine to him. Another reason for his removal was, his wife, a Medical Doctor was proud and rude among the military families! Portuguese, Philip Debrito (Nga Zin Ga) established a colony in Syriam from 1581 to 1613. Chinese Kublai Khan’s Muslim Turkish soldiers, commanded by Nasrudin, the son of Yunan Governor attacked and took over Burma in 1277 AD. Tartars at first took strong hold in Bhamo (Burma) for a few years and later destroyed Bagan (Pagan) in 1287 AD. Shans of Myanmar and Siams, now known as Thais are from one same Ethnic Group. Their language is different in slang only. They are descended from Sino-Shan and Mon Khamars, who came down from Yunan, China. U Nu, the last democratically elected Prime Minister of Burma, overthrown by the General Ne Wins’ Military coup, later formed the government-in-exile in Thailand. After he returned (surrendered) to Burma, there were praises in the Government controlled Media, regarding his patriotism in refusal to sign an alleged agreement to allow Shan State to be annexed with Thailand in exchange for the Military and financial aids. Myanmar Muslims are using Myanmar language as their mother tongue. They are well assimilated in this aspect. A lot of Ethnic Minority Groups through out the world are facing problems because of the language differences. Myanmar spoken language is under Tibeto-Burman family. The source of the Myanmar script (written language) was adopted from the Brahmi script from India (500 BC. to 300 AD. ), in the reign of King Asoka. This Brahmi Indian scrip spread to Tibet, Sri Lanka, Myanmar, Thailand, Cambodia and even some parts of Indonesia. In Myanmar, this Brami script was developed and modified by the civilisations of Pyu (now disappeared and totally assimilated in Myanmar), Mon, Rakhine, and Myanmar. Myanmar language script was fine tune again after introducing Sanskrit, Pali, Pyu and Mon scripts. Earliest Myanmar written language starts in Bagan (Pagan) period of eleven century. When compare to many of the prided, recognised ethnic minorities, especially WAs, most of them could not speak Myanmar language, most of the Muslims in Myanmar could speak the mother tongue. Myanmar traditional dress. Myanmar-Muslims have adopted and taken the Myanmar dress as their own. It is widely accepted that Taik pone (Myanmar man’s jacket) was taken from China and the Longyi (Sarong) was taken from India. Curiously Muslim religious customary Purdah, a veil for the women, is spread to even Burmese-Buddhists and other Ethnic Minorities. They called that with the adopted name Pawah. So the present Ethnic Groups all over the world, including the races of Myanmar (Burma) are not the original owners of the land. And they are not neatly arranged into Nations. There is a lot of spill over into neighbouring states. And their religion, language, culture and traditional dresses are usually found to be shared or modified from others. The author of this book wish to make clear that the above paragraph does not mean to insult or belittle the spirit and pride of Nationality and the state of been a member of a particular Ethnic Group. I wished to reduce the fanatic extremist, Nationalistic Spirits only. After all, we all are just fellow, brothers and sisters staying temporary on earth. Why should we fight the deadly wars and hate each other for the non- permanent properties and lands. Peace, kindness, loving kindness, forgiveness, charity, helping the needy and various good virtues are the teachings of all our Religions. no one should deny the rights of Muslims in Burma (Myanmar). Myanmar Muslims have a right to be recognized as one of the races in Myanmar (Burma). We are one of the legal Ethnic Minority Groups of Myanmar (Burma). Myanmar Muslims (Burmese Muslims) are no more foreigners nor migrants but full-blown citizens of Myanmar (Burma). Muslims in Myanmar (Burma) have the same and equal rights with all other Myanmar citizens, including Burmese Buddhists and all the ethnic minorities of Burma (Myanmar). The whole world accepted that those persons practicing Islamic religion are called Muslims. So, those practicing Islam in Myanmar must be called Myanmar Muslims. Nothing wrong! Never mind even if Myanmar Military Generals cannot accept this logic, call us in any name. Therefore, you could call us Ayer gyi or Kala Gyi, Tayoke gyi or Pauk Phaw. Up to you. But Myanmar Military Generals should just look at their own faces in the mirror. How much pure blood you all have? I understand your argument, but using religion as the sole factor in determining who belongs in an ethnic group is inconsistent and inaccurate. Are you suggesting that 3 separate articles for “Karen Buddhists”, “Karen Christians”, and “Karen animists” be created merely because they follow different religions? With your argument, you’re saying that an ethnic group “Myanmar Buddhists” and “Myanmar Christians” exists, even though they do not. Myanmar Muslims come from a wide diversity of ethnic groups, and hence should not be clustered all together, as Buddhists, Christians, animists, and Hindus are not in Myanmar. You say that an ethnic race “Myanmar Buddhists” exists although the definition of ethnic race falls nowhere near what you describe. Being Bamar is not the only qualification of falling into this nonexistent race; Shans, Mons, Pa-Os, Chinese, etc. would all belong in this nonexistent race then. My paternal grandparents held FRCs, but were able to guarantee their children being registered as “Burman” citizens via familial connections. But being discriminated against doesn’t allow me the right to accuse people of bigotry and ethnic cleansing, or to accuse or belittle others of chauvinism and vandalism. I brought up this issue to be resolved calmly and in a civilized manner, the Wikipedia way. What unites all of the Myanmar Muslims other than the fact that everyone is Muslim? What you’re saying doesn’t constitute a race. It’s true that the Pyus and other ethnic groups merged with the Bamars, but the Bamar ethnic group already existed, having migrated from the Tibetan Plateau into the Ayeyarwady delta, and afterward, began absorbing the local population of similar ethnic groups (e.g., the Pyu were Sino-Tibetans as were the Bamar). Whether or not you accept the fact that the military goverment is legitimate, it is in power. And Wikipedia standards on ethnic classification follows the government standards of each country, typically. Currently, because many ethnic groups, including the Chinese and Indians are not represented, editors are trying to adjust the groups by ethnolinguistic family (Indo-Aryan, Sino-Tibetan, Thai-Kadai, Mon-Khmer, etc). If your supposed “Myanmar Muslims” ethnic group did exist, which would it fall under? The Panthays (who are Sino-Tibetan ethnolinguistically) of that “ethnic group” would surely not fall under Indo-Aryan, for example. Nor would Malays (who are Austronesian ethnolinguistically), for instance. Most of your rantings are not even relevant to this discussion here. What you’re saying is that your anger over the discrimination of Muslims in Myanmar is what compels you to create a purely fictional ethnic group called “Myanmar Muslims”, one that is based on your sentiments and whims rather than on fact and definition. I’m sorry to observe that it is rather a forlorn hope for a religious affiliation to be recognised as race /ethnicity/nationality, military junta or whatever rules the country. Arabs are Arabs and not Arab Muslims; Jews are probably unique in that their race and religion are synonymous though racial purity here is also suspect. Burmese and Buddhist also tend to be considered synonymous though patently untrue. Muslims in Burma are either Burmese/Myanmar or Kala/Indian, mixed blood or not, and I agree entirely with the sentiment that if you feel Burmese you are Burmese whatever your creed. A lot of Burmese are of mixed ancestry particularly in towns and cities anyway, but Buddhist is not race/ethnicity/nationality. Bosnian Muslims, I believe, are not a seperate race either, but Turkic Serb Croat mix of one sort or another. Unfortunately it is a common Burmese majority perception that Muslims see non-Muslims as needing to be either converted or culled, hence the animosity. And they can’t understand the need to be called Burmese Muslims; the difference in physical appearance is enough to indicate the difference in creed, an Indian-looking person is usually a Hindu or a Muslim. They are called Asians in Britain, British Asian not British Muslim which could mean a white person. Assimilation or integration is still an ongoing debate there with the same kind of mistrust and misunderstanding. It is of course wishful thinking to expect people to give up their roots, cultural and especially religious background, in order to conform to the society at large which may even be considered decadant and morally corrupt as in the case of Britain. In the end it’s the way both parties react to each other, groups as well as individuals. The true yardstick of civilisation, I believe, is the way a host society treats strangers, with humanity, hospitality and friendship unless the ‘alien’ proves malevolent. Thanks for the history lesson. One can’t help but sympathize with you over the predicament the grandchildren are in. I know of one example where the grandfather was three quarters English and this teenager is still classified Anglo-Burman whereas the father, whose ID goes back to before the new law was introduced, was not. It is of course absurd and patently unjust but for a purpose I dare say. It’s as if the Burmese military regime had taken its cue from Margaret Thatcher’s new laws for British citizenship introduced in the same year 1982. Even in my time in the early days of military rule, a very bright Chinese schoolmate of mine was barred from enrolling for medical school because one of his parents held a Foreigner Registration Card. If I recall correctly the parents’ generation was given the choice at the time, when national IDs were introduced mainly for reasons of widespread insurgencies, to either become Burmese citizens or retain their foreign nationality; dual citizenship was not recognised, and there were many non-takers. Bear in mind even the dominant Bamar have been made to feel they must leave the country for greener pastures or flee political repression these days. The military regime is xenophobic enough already, but appears to have been made even more paranoid by the wider Islamic world taking an ‘unhealthy’ interest in Burma along with the dominant West. And don’t you think it is only natural that the Burmese Buddhist majority (your claim that they are also a minority is simply bonkers, unless perhaps that’s wishful thinking on your part) naturally resents proselytising Muslims and evangelising Christians alike? I have come across Burmese Muslims who would answer ‘Muslim’ to the question ‘What ethnic race are you?’, not even bothering with the Burmese prefix (I agree there is no denying that there is a social political entity based on a shared religion but not race/ethnicity/nationality, just as British Muslims are in Britain where you have a mixed bag of Arabs, Persians, Turks, Asians, Africans and white Europeans such as Bosnians and Albanians). But are they merely confused or perhaps deluded? (No Burmese would answer ‘Buddhist’ to the same question) It is a mindset that bodes ill in the sense that the logical upshot being an entrenched ‘us and them’ attitude which feeds into a vicious circle. Consider the plight of the Karens, starting off strident not to say militant in their demands for an independent state of their own and beholden to their former colonial masters and fellow co-religionists. They are after all indigenous from the beginning of history just like the Wa you were mocking at earlier on, reminding me of some British Asians (people from the Indian subcontinent in this context) seeming to think they are more British than the rest of us latecomers. Chance would be a fine thing, to be really accepted, all of us ‘coloured’ ones and those who look different from the society at large no matter what generation down the line you are now. First ask yourselves ‘Do you want to remain a minority and even ghetto-ise yourselves in a melting pot that Burmese cities are today?’ Is it integration or assimilation you are after? One does need to be realistic about what one can achieve and know the limitations, but by all means go for it one step at a time as far as you can go short of bringing it all down on yourselves like a ton of bricks for crossing the line. The Mujahid rebellion in the Arakan (the name Rohingya however evolved was unknown then) crossed that line very early on, in 1947, granted in desperation but nonetheless it crossed that line for wanting an independent state for Rakhine Muslims which even the majority Rakhines can never agree with, let alone the Burmese. Above all there is no way any of the minorities can achieve anything without taking part in a broad alliance with the Burmese majority, the first task here and now being the broader struggle to topple the military regime; just look at where the disparate ethnic insurgencies are after over 40-50 years of struggle. My very best wishes and good luck. Don’t you think it’s becoming tedious, rambling and unwieldy and above all somewhat irrelevant, like all the stuff on the history of the Arakan which does not really belong here (merge to Rakhine State)? Can you not be brief and keep it manageable and readable without making one lose one’s attention after a while? It would certainly do more justice to your cause if it doesn’t sink to the level of a rambling diatribe. Please don’t make it boring and repetitive;it’s not helping. It is a fact of life that even a slightly Indian-looking person in Burma may be called Kala or Appana, just as a Chinese-looking person will be called Tayoke, Pauk hpaw or Htaungkè. Kala is not derogatory just as Tayoke for Chinese is not; there is no other generic term for them. And I’m afraid you can never wish it away or legislate against it. There are plenty of Burmese kids fondly nicknamed Kala or Tayoke by their families, but I’ve never come across a dog called either of those. The insult as you perceive is justified only in the inflexion, the tone of voice, and this anybody can guess even a foreigner totally ignorant of the language. You know as well as I do that the actual swearing involves a prefix such as hkway (dog) or a suffix such as Kala-zouk (inferior) or Tayoke-poke (rotten), and this applies to the Bamar as well. The Burmese word kabya is not derogatory either; it’s the only word for half and half (dual ancestry). Since a lot of the urban Burmese are a mongrel lot themselves like you said, some of them cheerily tell me they can swear at anyone because they are ‘none of the above’. So the answer is look Burmese and you won’t be called Kala or Tayoke, who says life is fair? I’ve been asked if I was a Hindu by an old Indian fellow in a dhoti at the entrance of the station in Mandalay, if I was a Muslim because I addressed some Muslim elder out of respect Mamugyi (uncle), and if I was Japanese by a Japanese woman in England. Fight for your rights by all means, but again be realistic and lose that chip on your shoulder, and again good luck to you, but don’t say the way the English joke about France ‘it’s a nice country, the only problem is it’s full of French people’! Thanks for admitting that you have one FRC in grandparents. there is no problem at all if you are Buddhist. But once reveal that some one is a Muslim, all the harassment started. Although all of my four grand parents are Full Burmese Citizens, including two of the great grand parents were pure Burmese, anther one pure Shan, all ex-Buddhists converted into Islam. (May be these kind of conversion had given some worries to the authorities.) All other five Great grand parents are mixed blooded “Burmese Muslims” and all of my brothers and sisters are citizens. However, why? why? why? some of their grand children were denied the same National Registration Cards but issued with other coloured three folded IDs? In addition to that, all the Muslims must grease the hands of National Registration officers. If could not, the poor Muslims are denied citizenship. Never mind, you merge all my articles under Islam in Myanmar and Myanmar Indians but don’t decide on our racial issues with your tinged mind. Just put as different groups as you all could not deny that we formed different groups even if you could not accept as different ethnic group. how would you answer if we argue with your words, “you Bamas also from a wide diversity of ethnic groups, and hence should not be clustered all together merged Pyu, Kan Yan Thet, Japan, India, China, Tibet and Yunnan” . Just read back your Glass Palace Chronicle. But anyway, power comes from the barrel of the guns. Maybe it is true, as they say, history is written by the victor, not the vanquished.And today SPDC Myanmar Military is saying that even God Himself can’t sink the Myanmar Tatmadaw. But the latest demonstration of the revered Pakhokku Monks and the mounting International pressure are reminding the Modern Titanic captain Senior General Than Shwe and crew called SPDC to wakeup, face the reality and search for the lifeboats before Myanmar Military sank into oblivion. I am amused about some of your postings, claiming Kokants and Panthays as not in official Ethnic Group. Unofficial according to the UNOFFICIAL or illegal government? I had read the Burma/Myanmar issue. Just because one criminal changed the name and the relevant court trying his case need to use all his names, eg Kyune Taik @ Lone Taik @ Mg Mya (I hope his name should be in the Wiki because he had changed the Burma’s history. Myanmar Tatmadaw had cowardly and cunningly used a spy to assassinate the Burmese Communist Leader Thakhin Than Tun) we cannot assume that his changed name is official. UN has accepted the opposition Burmese Government in exile also. Moreover, UNGA had decided few dozens of resolutions asking your “legal” government to change. Last UNSC resolution was voted by the majority against SPDC but vetoed by the two communists. Just see that Communist China. It never ruled even for one second on Taiwan but that China bullied whole world, UN and Burma to accept its one China policy. Just because UN accepted this, you could not claim that Taiwan Government is illegal or non-existent. My case rest here, you all do whatever you like. Have you heard about the concept of the Race told by General Aung San. If not I am willing to translate and send to you. However, as the followers of the gang who hate Daw Aung San Suu Kyi, you would refuse that concept. Never mind just stay behind the world with the antiquated philosophies of successive Military Governments. “Racial Profiling” your personal acceptance or general Burmese opinion could not count or hold water in the CIVILIZED WORLD OUTSIDE MYANMAR. It is a crime! Although you all are too used to it, Muslims including me, who are at the receiving end, take seriously as an offence. We are not wrong, according to UN accepted Genocide guide lines. In the land like Myanmar where it is even a taboo to mention even our Independence father Bogyoke Aung San, those salute him or made a khamoke (hat), symbol of his daughter’s party, were jailed, but every body is free to profile others! In football there is a popularly accepted axiom, “the best defense is attack.” So I have to aggressively defend our race and religion. Calling Kala never stopped there. It is used with animosity and always followed by discriminations. I my self was at the receiving end for the most of my life in Burma. I was the top student in my town and district during the high school days. In MC, I still stayed at the first position in each and every exam in every subject every year. However, during the “D” interviews the examiners always showed their animosity towards the Kalas, sometimes even blatantly disclosing openly. Later in the service, I was denied postgraduate studies abroad and promotion. Therefore, I emigrated for good. Those illiterate and idiot military authorities never understand the effects of the brain drain but I am happy with my present status and I understand that those unfortunate things are actually God’s blessings in disguise only. So, based on the historic, undeniable, concrete facts and truths – no one should deny the rights of all the Muslims in Burma (Myanmar). Myanmar Muslims have a right to be recognized as one of the races in Myanmar (Burma). We are one of the legal Ethnic Minority Groups of Myanmar (Burma). Myanmar Muslims (Burmese Muslims) are no more foreigners nor migrants but full-blown citizens of Myanmar (Burma). Muslims in Myanmar (Burma) have the same and equal rights with all other Myanmar citizens, including Burmese Buddhists and all the ethnic minorities of Burma (Myanmar). Thank you for the understanding and the revealing of the conditions in UK. I hope that you already knew that in the democracy index, analysed in The Economist’s annual publication, The World in 2007 that grades 167 countries out of 192 independent states according to their degree of democracy. Among the “Full democracies” Britain is 23rd. Not impressive at all! “Young brother, in any exam you have to aim for the first position.” And he threw away his second prize medal for the fifth Std. awarded by British District Chief, into the Kaladan river. So no need to look up at how UK treat its foreign citizens according to U Ottama’s wise advice. We want full democracy; respecting the Human Rights of all the citizens irrespective of race, religion or creed. And the Individual freedom in the corruption free Myanmar. May be I am day dreaming a Utopia. The Wa I mocked was the pure Chinese national crossed the Chinese Border with Wa ex-rebels. He paid money to Was and Myanmar Officers. He became instant citizen and even got the Passport. If Chinese face no problem. If Indian features, the bribery also no much use. That is the truth of even discrimination on the “foreign” citizens. Just see the Noble Myanmar Chinese list, Ne Win, san Yu, Aung Gyi, Khin Nyunt etc. So, the religion could not become a basic factor to form a new race according to your theory. What about Kosovo Muslims and Bosnian Muslims? US action to help them was obstructed by big bully, veto wielding communists same as the present scenario in Myanmar-resolution in UNSC. Therefore, US had to go ‘alone’ with NATO and willing partners. Now UN had recognized by participating in the process. We need to think out of the box. It is funny that Ko – – – said, Indian, Chinese, Bama and Malay could not mixed together when I am one human being with those mixed genes. Actually, my fathers’ parents are; Ko Tin Mg, who is the Burmese-Indian mixed blood married to the Shan-Panthay, Ma Thorda. (Please read in my letter posted earlier) My father married to a Pashu (Malay) woman. Therefore, I am the product of the mixed marriage, mixed blooded person. Sometimes I feel like the grass between the bricks. Nevertheless, because of my nature to see every thing as the blessing in disguise from God and try to extract the best out of all my mixed genes, I am happy with the results. 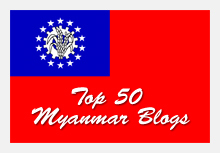 Now I even have to thank you, Myanmar Wiki editors. I have to accept that there is no Myanmar Muslim nor Myanmar Indian Race. Thank you for lumping us with Burmese Indians and Islam in Myanmar. Ko – – -, do you know that a person practicing Islam is called a Muslim? It is the universal concept, accepted by the whole world. Those practicing Islam in Myanmar are called Myanmar Muslims. Never mind even if you cannot accept this logic. Call us in any name. Therefore, you could call us Ayer gyi or Kala Gyi, Tayoke gyi or Pauk phaw. Up to you. But look at your self in the mirror. How much pure blood you all have? Therefore, in preparation of the merger exercise lumping us as Indians, I prepared the Burmese Indian site for the soft landing. 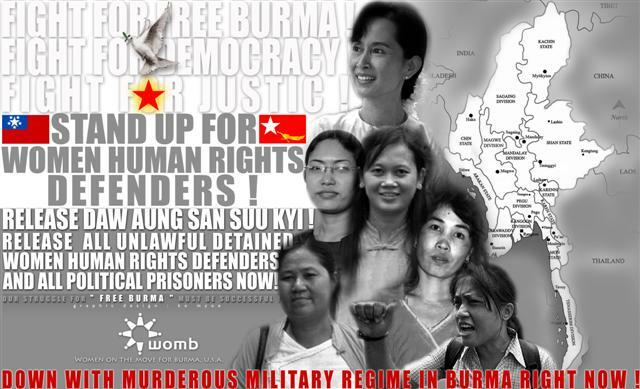 I never intend to insult our Burmese friends’ pride but the facts I found out are truths! So please help edit and improve the product or brainchild of my poor English. Spelling, grammar, style etc but please do not try to alter the truth of our prolong sufferings. Just read the definition of Genocide. The Journalists, (including editors) could be punished because of their Propaganda warfare to support the crimes of Humanity (Genocide) committed by their governments.